At least 2840 people were detained, with 1089 of them put in pre-trial detention in operations targeting Turkey’s Kurdish minority, and the Gülen group, which the Turkish government accuses of masterminding a coup attempt on July 15, 2016, throughout July, according to data compiled by Turkeypurge.com. On July 31, Amnesty International (AI) Turkey Director İdil Eser and two other human rights activists, Özlem Dalkıran and Nalan Erkem, were transferred from Bakırköy to Silivri Prison, where around 135 writers and journalists are behind bars. On July 31, the Turkish Interior Ministry announced that a total of 593 people were detained in the past week as part of a nation-wide investigation into Turkey’s Gülen group. On July 31, Turkish police teams detained at least 51 individuals on accusations that they use a smart phone application known as ByLock, Turkey’s state-run Anadolu news agency reported. On July 30, Aktifhaber online news portal reported that a Bartin man, identified with his initials D.G., was bound to a chair and pushed into sea on multiple times as police officers tortured him while under custody. On July 30, Turkish Cooperation and Coordination Agency (TİKA) Colombia coordinator, Mehmet Özkan, admitted that the agency has been reporting the activities of Gülen group in the Latin American countries to Turkey and Turkish embassies across the continent. On July 30, a Canakkale-based university student, identified as U.A., was detained for wearing a T-shirt bearing the words “part time hero.” The incident came amid consecutive detentions of people who wore ‘hero’ T-shirts across the country. The hero T-shirts have become a contentious issue when Gökhan Güçlü, one of the suspects on trial for an assassination attempt against President Recep Tayyip Erdoğan on the night of the July 15, 2016 failed coup, was thrown out of the courtroom for wearing a T-shirt bearing the word “hero” because it caused tension between the parties during the hearing. At least 33 people have been detained for wearing hero T-shirts since mid-this month. On July 30, two police officers briefly detained two youngsters for singing Kurdish songs at the Taksim Square in Istanbul. On July 29, Senturk Uzun, Turkey’s former ambassador to Ghana, was put in pre-trial detention, state-run Anadolu Agency reported. Detained in Istanbul’s Kadikoy as part of an investigation into the Gulen group on July 26, Uzun was arrested on accusation of membership to a terrorist organization. On July 29, a Turkish man residing in Germany was detained at the Turkish border due to his social media posts allegedly insulting President Recep Tayyip Erdoğan, Deutsche Welle reported. A 45-year-old Turkish expatriate in Germany, Kadim D. was going to his hometown of Sivas for vacation. 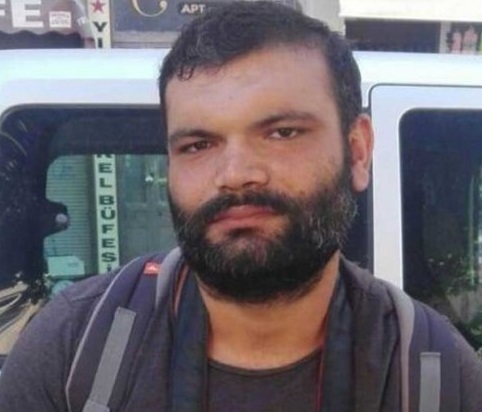 On July 28, a Hatay court arrested Erdoğan Alayumat, a journalist affiliated with the pro-Kurdish Dihaber news website, on charges of membership in a terrorist organization. 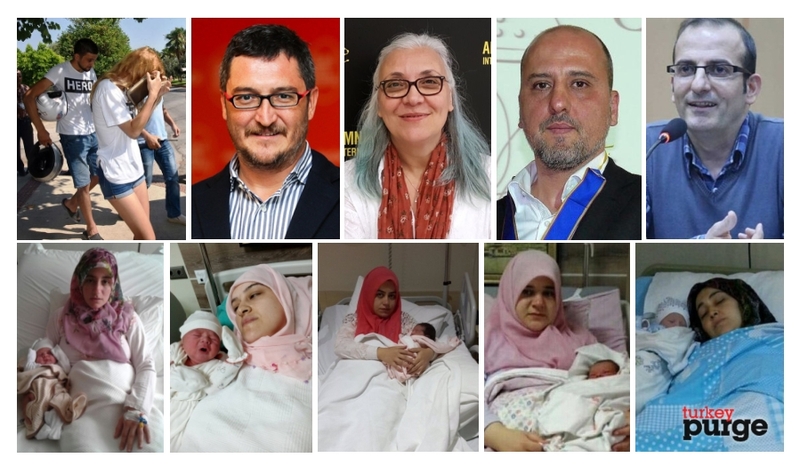 On July 28, an Istanbul court released seven daily Cumhuriyet journalists, executives, while ruling for the continuation of arrest for another five. The released journalists and executives were Musa Kart, Bülent Utku, Turan Günay, Önder Çelik, Kemal Güngör, Hakan Kara and Güray Öz. But the court rejected the release demand of journalists Ahmet Şık, Kadri Gürsel, Murat Sabuncu, Kemal Aydoğdu and board member Akın Atalay. On July 27, at least 25 people were detained in 8 provinces as part of an Aksaray-based investigation into the Gülen group. Police in Aksaray, Ağrı, Ankara, Gaziantep, Kütahya, Mersin, Hatay and Trabzon provinces carried out simultaneous operations against what the state-run Anadolu agency said, the “safe homes” where the suspects have been reportedly hiding at, fearing the post-coup government crackdown. On July 27, Yusuf Karataş, a columnist at Evrensel daily newspaper, was put in pre-trial arrest as part of an investigation into the Democratic People’s Congress (DTK), the largest political forum gathering held by Kurdish non-governmental organizations in the recent past. On July 27, under pre-trial arrest since Apr 1, 2017, M.C., a factory worker from Kayseri was sentenced to 6 years plus 3 months in prison on accusation of membership to Gülen group. HDP’s Şırnak deputy Faysal Sarıyıldız and Van deputy Tuğba Hezer Öztürk. On July 27, the Turkish Parliament stripped two more pro-Kurdish Peoples’ Democratic Party (HDP) deputies of their parliamentary status due to their “absence” from the parliament. 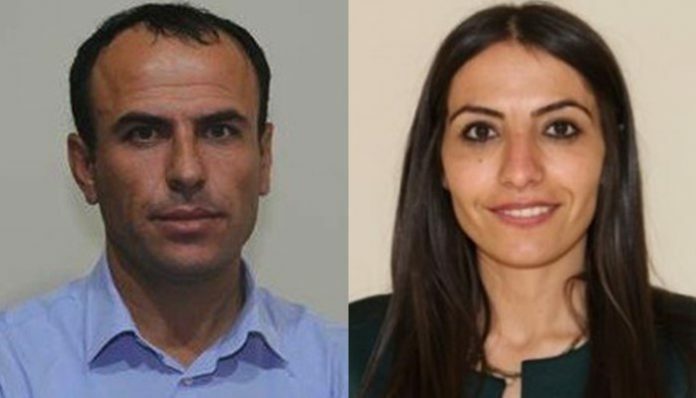 HDP’s Van deputy Tuğba Hezer Öztürk and Şırnak deputy Faysal Sarıyıldız were removed in a vote. On July 27, an Istanbul psychologist, identified as E.E., was sentenced to 10 years and 6 months in prison on accusation of membership to Gülen group. On July 27, a Turkish prosecutor issued detention warrants for 38 former Customs and Trade Ministry staff members over the use of a smart phone application known as ByLock. Turkish authorities believe using ByLock is a sign of being a Gülenist as they see the mobile phone application as the top communication tool among the group. 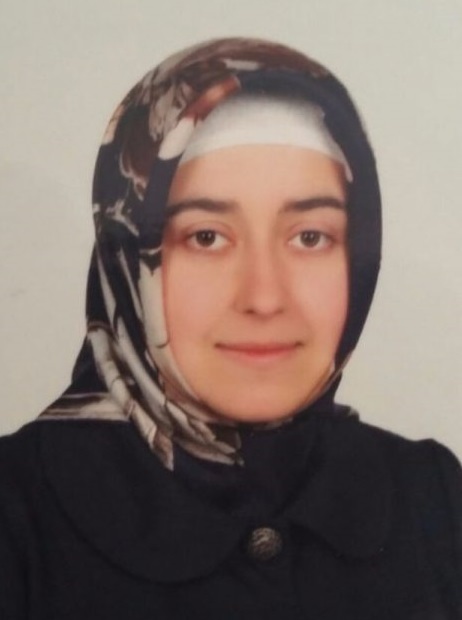 On July 27, Meryem Senturk, a Zonguldak woman and a mother of six, was arrested after police failed to locate his husband who has been under investigation over his alleged links to the Gulen movement. According to Aktifhaber news portal, Senturk was detained and put in pre-trial arrest in Beycuma prison in Zonguldak before being transferred to Duzce prison after three days. On July 26, Muhammed B., the former manager of an Alanya-based student dormitory that the government earlier shuttered over its links to the Gulen group, was detained at a private hospital where he stopped by for treatment. Alanya police raided a private hospital upon the information that Muhammed B. had jusat registered at the medical institution for treatment. On July 25, Turkish prosecutors issued detention warrants for a total of 81 people educators who used to work for now-closed Gülen affiliated private and prep-schools in 13 different provinces, TR724 news portal reported. On July 25, a prosecutor drafted an indictment seeking up to 15 years in prison for 21 former state-run Turkish Radio and Television Corporation (TRT) staff members due to alleged Gülen links. On July 25, an indictment prepared by a Van prosecutor sought a jail sentence of up to 10 years for pro-Kurdish Peoples’ Democratic Party (HDP) Co-chair Figen Yüksekdağ for “disseminating terrorist propaganda” during a public rally in April 2016. On July 25, Ayşe Kaya, 30-year-old Turkish woman, was reportedly detained by police hours after she gave birth to a baby at Eslife Private Hospital in İstanbul’s Esenyurt district, as part of an investigation into Turkey’s Gülen group. On July 25, the Turkish Interior Ministry announced that 151 people were detained over the past week on charges of disseminating propaganda on social media on behalf of the Gülen group, the outlawed Kurdistan Workers’ Party (PKK). On July 25, Ali Ünal, 62-year-old journalist who used to write columns for now-closed Zaman newspaper, faced 2 aggravated life sentences and additional 29.5 years in prison. Under arrest since Aug 16, 2016, Ünal is accused of being one of the leaders of the Gülen group, which the government put the blame on for the July 15, 2016 coup attempt. On July 25, at least four people were taken under custody for wearing controversial “hero” T-shirts, according to Turkish media. The hero T-shirts became a contentious issue when Gökhan Güçlü, one of the suspects on trial for an assassination attempt against President Recep Tayyip Erdoğan on the night of the coup, was thrown out of the courtroom last week for wearing a T-shirt bearing the word “hero” because it caused tension between the parties during the hearing. On July 24, police detain Derya Gül who gave birth to a child earlier in the day at the Avrupa Hospital in the southern province of Adana. Gül was detained due to a warrant issued as part of an investigation into the Gülen group. On July 24, the Turkish Interior Ministry announced that a total of 831 people were taken into custody in the past week as part of investigations against followers of the Gülen group. On July 22, Mustafa Babayiğit, a Turkish judge who reportedly suffers from thyroid cancer, was sent to jail by a Kocaeli court, while his wife, Songül Babayiğit who is also a judge, was put in pre-trial detention in Tokat. Ç.G. (22) and E.E. (22). On July 22, Ç.G. (22) and E.E. (22), a young couple from Akdeniz University, were detained after Antalya police were informed that they were wearing hero T-shirts. Later the same day, Turkish police detained a law student at Ankara University, identified with his first name Dogan, for wearing “hero” T-shirt during an exam. On July 22, Science, Industry and Technology Minister Faruk Ozlu said that the Turkish government seized at least 2,421 trademarks, 101 designs along with 15 patents from businesses blacklisted over their links to the the Gulen group. On July 21, detention warrants were issued for at least 159 people including 34 from the government-closed media outlets over Gülen links. On July 21, an Ankara court ruled for continuation of the imprisonment of journalist Ayşenur Parıldak, who has been behind bars for more than 11 months. She was arrested on Aug. 11, 2016 on the Ankara University School of Law campus, where she was also studying law. Facing charges of writing “subjective stories” as well as accusations for her Twitter messages. On July 21, the rector of Denizli’s Pamukkale University (PAU) between 2011 and 2016, professor Huseyin Bagci was put in pre-trial detention over his alleged links to the Gülen group. On July 21, Turkish government issued detention warrants for a total of 168 people in Istanbul’s Uskudar and Umraniye districts due to their alleged links to the Gülen group. On July 20, the main opposition Republican People’s Party (CHP) released a report regarding the impact of an ongoing state of emergency in Turkey, which revealed that a total of 111,240 people have been dismissed from their jobs, while 32,080 others have been suspended since a coup attempt last year. On July 20, Turkish courts in Muğla and İzmir provinces detained at least 46 people, including police officers, teachers, and shopkeepers over their alleged links to Turkey’s Gülen group. On July 20, a Mersin man, identified as E.A., was detained while he was visiting his relative, also E.A., who has been under arrest over links to the Gülen group in Tarsus prison. 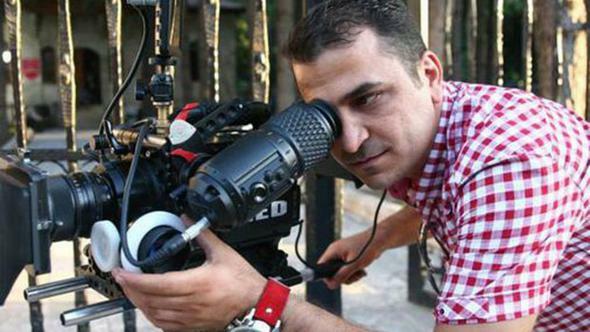 On July 19, an İstanbul sent Turkish producer Ali Avcı to prison due to a movie trailer that shows the moments before the apparent execution of President Recep Tayyip Erdoğan. 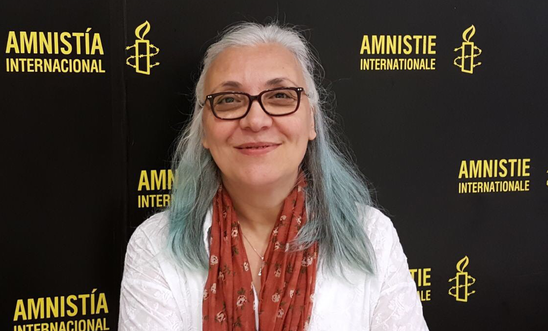 On July 19, Gauri Van Gulik, deputy Europe Director at Amnesty International.tweeted that Amnesty International Turkey Director İdil Eser was kept in solitary confinement for 24 hours and denied access to medication within this period. On July 18, Interior Ministry said in a written statement that A total of 895 people were detained across Turkey as part of investigations into the Gülen movement, over the past week. On July 18, O.K., a teacher who was previously purged from his job by a government decree after a failed coup in 2016, was detained when he visited a state of emergency bureau to object to his dismissal. On July 18, Oğuzhan Bahadır, 37-year-old goalkeeper of Kastamonuspor 1966 football club, was put in-trial arrest over his alleged used of ByLock mobile app. Amnesty International’s (AI) Turkey director Idil Eser. On July 17, the Turkish Parliament extended the ongoing state of emergency for three more months the fourth such extension since it was originally put in force in the aftermath of a coup attempt on July 15, 2016. On July 17, the Diken news website reported that Sedat Peker, a convicted gang leader and staunch supporter of Turkish President Recep Tayyip Erdoğan, said they will hang all people linked to the Gülen movement from flagpoles and trees. On July 17, at least 115 people in Tekirdag province were detained over their alleged use of ByLock smartphone app, state-run media said. According to Anadolu news agency, arrest warrants were issued for 127 people who allegedly used the application while police were able to locate 115 suspects during the operation. On July 14, a group of police officers detained a woman named Yasemin Özkul hours after she gave birth to her third child at the private Hizmet Hospital in Istanbul’s Bahcelievler. On July 14, a total of 7,563 people were dismissed with a new post-coup emergency decree, released only a day before the first anniversary of the July 15, 2016 coup attempt. The government decree, numbered 692, dismissed 7,563 people including 302 academics, from their jobs. Those purged included 418 from the Justice Ministry, 2,303 from the police, 551 from the Religious Affairs Directorate [Diyanet], 45 from the Foreign Ministry, 1,486 from the Interior Ministry, 102 from the Education Ministry, 789 from the Health Ministry, 302 from the Higher Education Board [YÖK], 546 from the Turkish military, 29 from the Turkish Radio and Television Corporation [TRT] and 235 from the gendarmerie. Former Istanbul governor Huseyin Avni Mutlu is also among those dismissed. Meanwhile, medals that were given to former national football stars Hakan Şükür and Arif Erdem were also withdrawn. 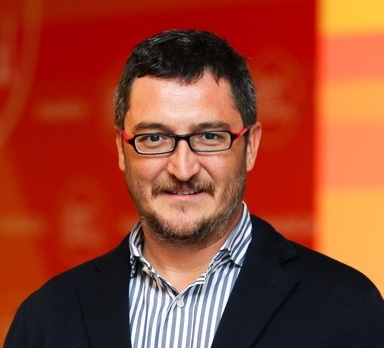 On July 14, Associate Professor Koray Çalışkan, who was detained on July 10 as part of an investigation targeting 72 people including 20 university academics, was put under house arrest. On July 14, at least 78 people were detained in an Antalya-based operation into the Gülen group. Arrest warrants were issued for 98 people in Antalya, İstanbul, Mardin, Balıkesir, Malatya and Afyonkarahisar provinces while police failed to locate 20 of the suspects who are accused of raising money for the relatives of people who were earlier arrested as part of separate investigations into the movement, pro-government Sabah newspaper reported. The detainees were reportedly the members of Antalya-based AKÇA-DER business union while police seized several copies of Fethullah Gülen’s books during Thursday raids at suspected locations. On July 13, twelve people were taken into custody while they were allegedly on their way to escape Turkey’s post-coup crackdown to a Greek island. On July 12, Proffessor Abdüsselam Uluçam, former rector of Batman University and head of an excavation team in Hasankeyf’s historic area, was put in pre-trial arrest as part of an investigation into the Gülen group. Detained while inspecting the excavation work at the historic site on Saturday, Ulucam spent 4 days under custody before a Batman court arrested him on July 12. On July 11, at least 17 teachers who were earlier dismissed from their jobs over links to the Gulen movement, were detained over similar charges. Police carried out operations in Bursa, İstanbul, Tekirdağ, Kütahya and Balıkesir provinces to detain 21 teachers for whom a Bursa prosecutor issued arrest warrants as part of an investigation into the movement. On July 11, Turkish police detained a university student after finding her fingerprints on books written by Fethullah Gülen that were thrown in the garbage to avoid a witch-hunt launched by the government following a coup attempt on July 15, 2016, the Cumhuriyet daily reported. According to the report, the police were informed that books written by Turkish Islamic scholar Fethullah Gülen were thrown in the garbage by unidentified people in the Belediyeevleri neighborhood of the Canik district of Samsun province. After the investigation, fingerprints on the books were matched to those of A.E.A, a 22-year-old university student. Detained by the police, the young woman was released by a court under judicial probation. On July 11, Turkish police teams detained 52 people working as informatics staff members in a number of big companies on the grounds that they are linked to the Gülen group. On July 11, Turkey’s Interior Ministry said in a written statement, a total of 520 people were detained across Turkey as part of investigations into the Gülen group, over the past week. On July 10, the pro-government Sabah daily reported that Turkish police seized 4,806 passports and detained 132 people at İstanbul Atatürk Airport as part of investigations into alleged followers of the Gülen group. On July 10, Turkish prosecutors issued detention warrants for 43 people working at the Prime Ministry on the grounds that they have links to the Gülen group. 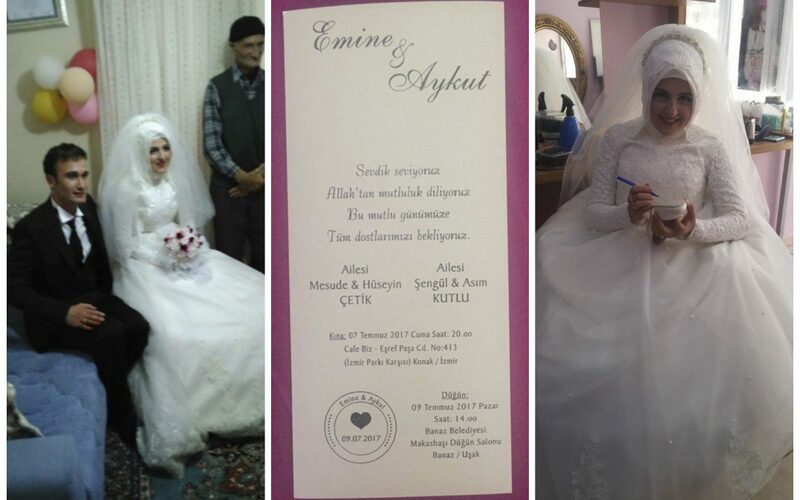 On July 9, Emine Cetik and Aykut Kutlu, a soon-to-be-married couple, were stopped by police in a bridal car and detained over links to the Gulen group while they were on their way to the wedding venue in Usak. Set to be officially married in just hours, the couple hit the road, along with a motorcade established by relatives and beloved ones, for the wedding hall located in the city center in Banaz, Usak on July 9. When they got close to the wedding venue just an hour before the ceremony, a group of gendarmerie forces stopped the bridal car, detained both the bride and the groom. On July 9, Turkeypurge.com reported that a 67-year-old shopkeeper in Balikesir’s Dursunbey district, detained as part of an investigation into Gülen group in mid-Aug, 2016, has been under arrest for 11 months. I.B. was detained in August 2016 for having donated a land he inherited from his father to a private student dormitory. 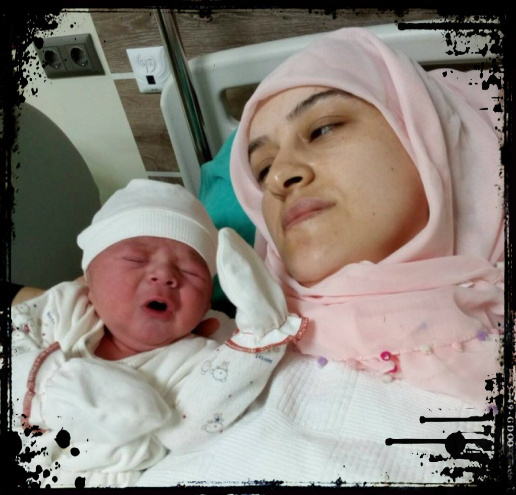 On July 9, Turkish teacher Fatma Ozturk was detained just after she gave birth to her baby at Ege Umut Hospital in Manisa’s Turgutlu district. Police handcuffed her to a bed she is resting on. On July 8, Turkish Justice Minister Bekir Bozdağ said that since a failed coup attempt last July, 50,504 people have been arrested and 168,801 are the subject of legal proceedings for their alleged involvement in the organization of the coup. While 48,731 were released on judicial probation without prior arrest, 8,551 were released on judicial probation following their arrest. On July 8, at least 109 people were detained, while 21 were arrested over their alleged links to the Gulen group. Police carried out the operations in Sanliurfa, Siirt, Tekirdag, Mersin and Rize. Among the arrestees are businessmen, engineers, nurses, business professionals, and former public servants who were dismissed from their posts as part of the government crackdown against the group. On July 8, Hüseyin Adalan, a columnist for pro-government Milat and Yenisöz dailies, tweeted that killing people affiliated with Turkey’s Gülen movement is “a religious obligation for Turkish state,” the Haberdar daily reported. On July 6, Nuriye Yalçın, a Kocaeli woman who expects to deliver twin babies in 4.5 months was detained during a regular medical control at Izmit Medical Park Hospital. On July 6, at least 29 people in Corum province were detained as part of an investigation against the Gülen movement. On July 6, twenty academics and university personnel were detained as part of a Konya-based investigation against the Gülen group. On July 5, Kamil Ü., a 61-year-old businessman who has been under arrest for over 10 months due to alleged links to Turkey’s Gülen group, died reportedly due to cramped conditions and high temperatures in the Elbistan L-type prison. According to the TR724 news website, the businessman was arrested on Aug. 14, 2016 and had been in Elbistan prison, where the average temperature in June was 35°C and humidity ranged between 60 and 80 percent. Kamil Ü.’s body was reportedly found in a bathroom by other inmates. On July 5, a group of police officers detained a woman who gave birth late on July 3, according to tweets posted by the woman’s family members. 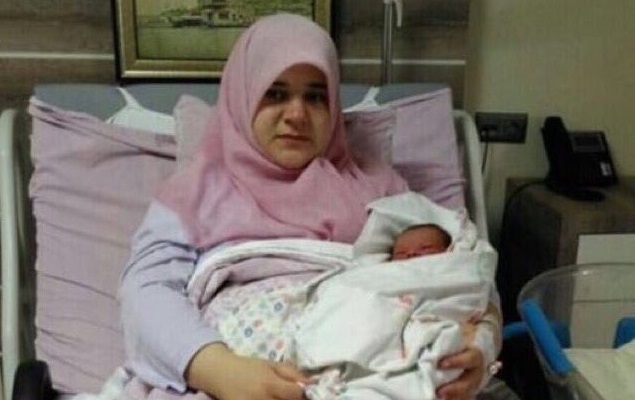 Yasemin Yılmaz was detained only two days later she gave birth to a baby in the İstanbul’s Esenyurt district. On July 4, an İstanbul court handed down a prison sentence of four years, two months to political scientist and columnist Mümtaz’er Türköne for “threatening” President Recep Tayyip Erdoğan in one of his articles. On July 3, the Evrensel daily reported that Göbekli Tepe, the world’s oldest temple at more than 11,000 years, has been closed to visitors for 15 months due to alleged links of the excavation team leader and sub-contractor to Turkey’s Gülen group. On July 3, a Turkish judge, identified as Ö. K., was arrested near Turkey’s Greek frontier in Edirne’s Ipsala district . On July 2, The Turkish Interior Ministry announced that at least 39 people were detained over the past week on charges of making propaganda on social media on behalf of the Gulen movement and the outlawed Kurdistan Workers’ Party (PKK). On July 1, a woman named Şenay Günaydın was arrested in İstanbul after she called on people at an event last week to “take to the streets” to support the CHP’s March of Justice, Milliyet daily reported. Günaydın had spoken at İstanbul’s Maçka Park during a vigil supporting the March of Justice, which was initiated by the main opposition Republican People’s Party (CHP). The İstanbul woman addressed the crowd in the park as she called on people to take to the streets in protest of the Justice and Development Party (AKP) government. After she was targeted by the pro-government media, Günaydın was detained and arrested on charges of inciting hatred among the people.